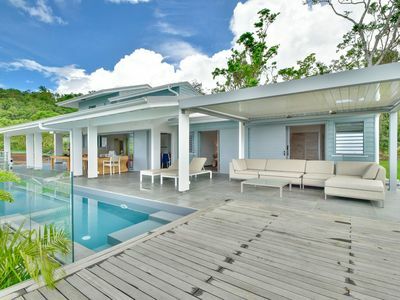 Located at 1 minute drive from Grande Anse beach in Deshaies, Villa Swell Guadeloupe is a magnificent newly built luxury villa. 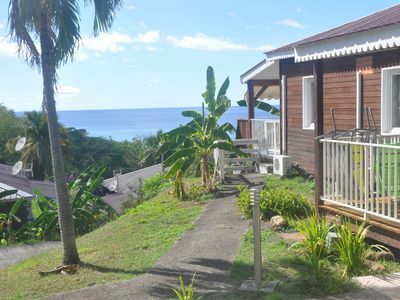 Nestled on the heights, its panoramic sea view is breathtaking and the sunsets are sumptuous. 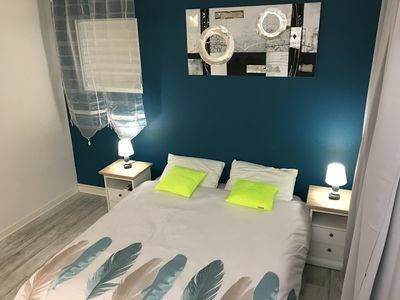 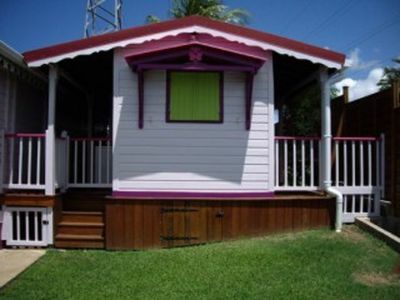 With 4 bedrooms and en-suite bathrooms, this holiday home rental can accommodate up to 8 guests and 1 baby. 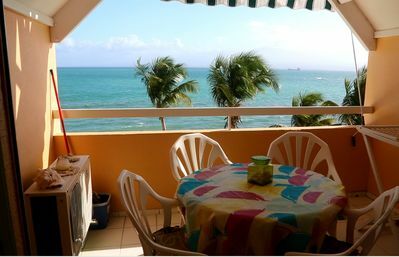 All bedrooms have a sea view and access to the terrace (the upper one has a small balcony). 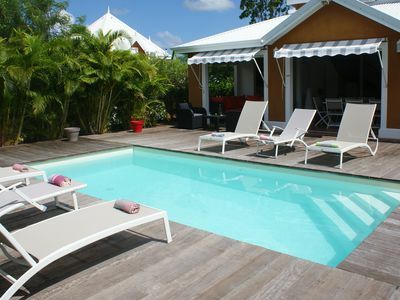 Thanks to two bungalows located right next to the villa, you will be able to sleep from 8 or 12 guests. 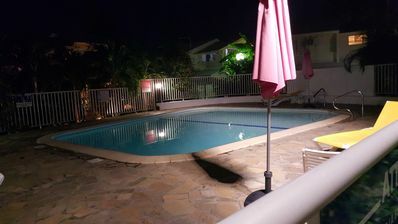 Perfect for teenagers or 2 couples. 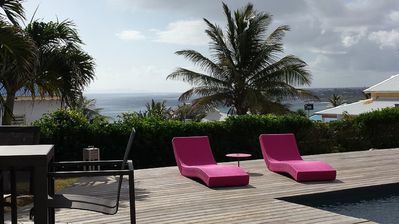 Please see Villa East Wind and Villa West Wind. 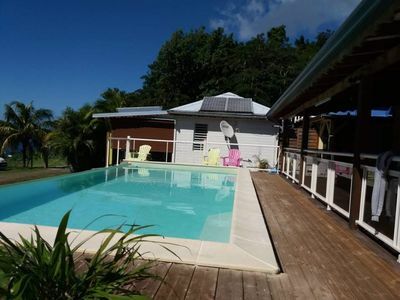 Also available at the house: surf boards, kayak and SUP Paddle board. 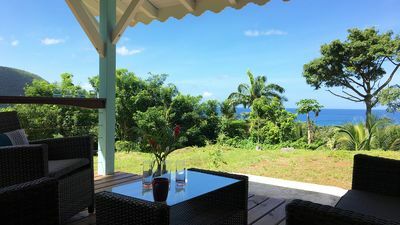 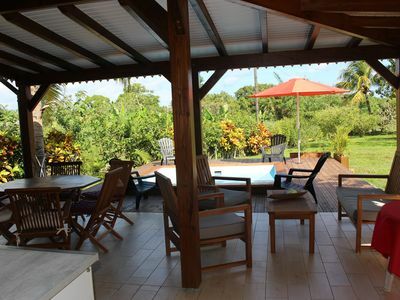 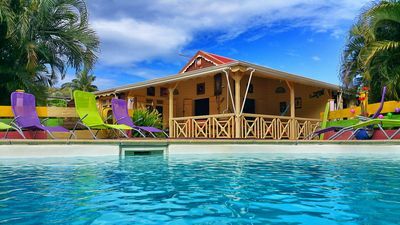 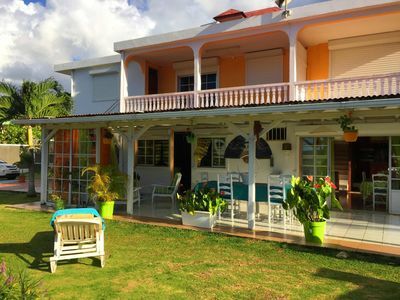 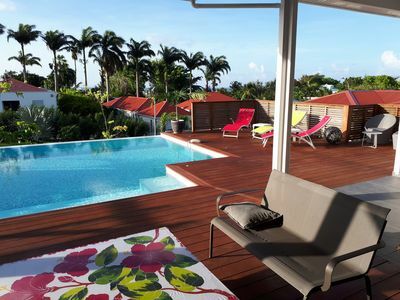 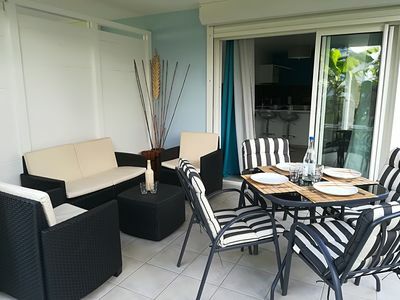 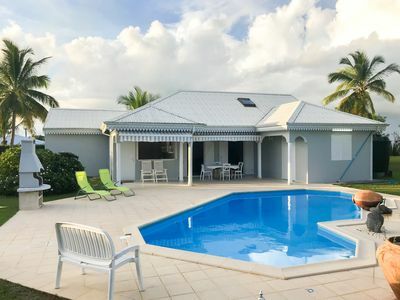 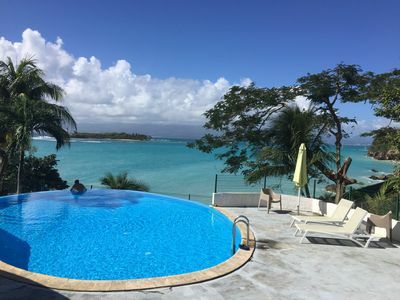 Villa Swell Guadeloupe will be an ideal holiday rental for a stay in Deshaies in Guadeloupe.